Barnabas Truman started life as a harmless-looking little kitty-cat. My, how he's grown since then! Okay, so he went through a rather awkward phase during the 1970s. Didn't we all? And don't you wish you hadn't seen this? That's what I thought. Move along now. In the summer of 1600, Truman was working as a bounty hunter and trying to hunt down his cousin, the notorious pirate captain Mad Morgan Burnsides. After a long and glorious battle, Truman was beginning to gain the upper hand, but a fateful accident (apparently involving an accordion, a scimitar, and three bottles of fine Jamaican rum; he doesn't like to talk about it much) caused him to lose his beard, his honor, and his left eye, and the brave Truman was forced to retreat. While recuperating from his injuries he learned to play Irish music on the hammer dulcimer (already being quite skilled on the pennywhistle and bodhrán). As soon as his beard grew back in, Truman donned his green war-cloak and picked up his mighty staff, and, invoking the powers of the mighty surfer god Saint Christopher, walked boldly across the waters of the ocean, once again seeking the dastardly pirate Burnsides. This time he won the battle, regained his honor, and took Burnsides's awesome pirate hat as spoils of his victory. Tragically, it was not until Truman triumphantly returned home that he realized to his horror that he had been wearing the eyepatch on the wrong side the whole time. At some point in history, Barnabas found the time to earn a bachelor's degree in mathematicks, with a minor in philosophy. This picture proves it! See? Also, he has horns. Sometimes. They're retractable. He now lives under the bridge between Olson and Shields Library, as a friendly ogre. 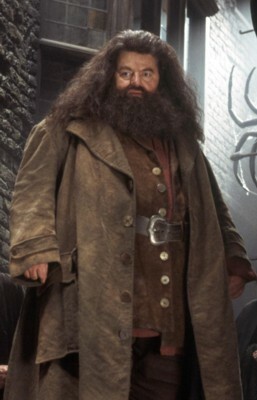 Any rumors that he eats a freshman each year are slanderous, and any resemblance to a certain half-giant wizard school dropout is strictly coincidental (he had the beard way before Robbie Coltraine made it popular!). 2006-02-09 2:41:00 There where four of us. Everything fell apart. I’m sorry. I found out I’m Manic-depressive. It explains some things. I still feel embarrassed. I want to come to terms with Matt’s death. Could you tell me if there is a place dedicated to remembering him? Also, On one hand I’m trying to make more since of C4, MBS, and exponential distributions. On the other, I’m looking for some one who knows how to play Go. Could you help me with any of this?